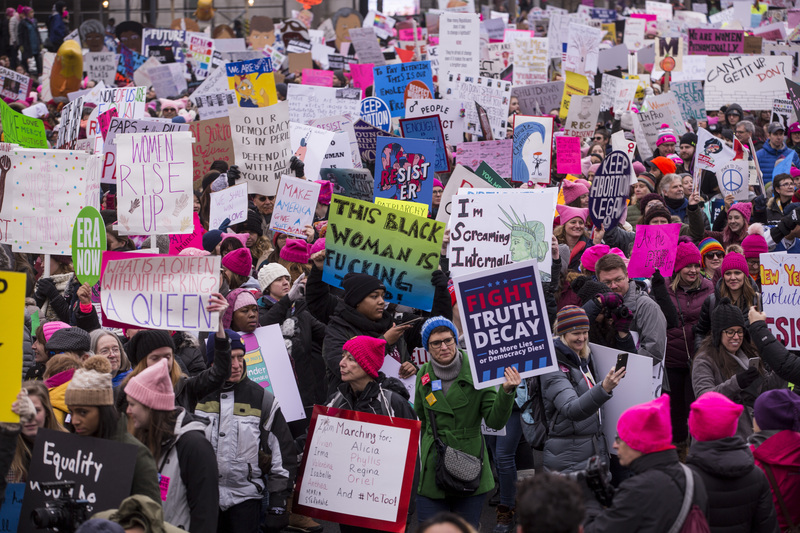 Women’s March protesters said Saturday that the recent controversy involving Tamika Mallory and her refusal to denounce anti-Semite Louis Farrakhan did not affect their decision to come out and participate in the march. Here is what the Women’s Marchers had to say about Mallory’s relationship with Farrakhan. Erin, a Jewish woman and activist who did not want to reveal her last name, told The Daily Caller she wasn’t sure why the march organizers haven’t denounced anti-Semitism. Protester Melisa Verdeel denounced Mallory’s anti-Semitism. “I don’t think there is any place for any kind of anti-Semitism, anti-anything in this movement, so I don’t know honestly about where Tamika is right now on the issue but there’s no place for that in this organization, and so if she needs to go then she needs to go,” she said. Protester Lindsey O’Leary from Kentucky blamed Fox News and “the media” for exaggerating examples of anti-Semitic links to Women’s March organizers. Protester Jeff Coop said that the Women’s March should in fact reach out to people like Louis Farrakhan despite his rhetoric, and that everyone should be included in the dialogue.